I am going to try to knock out some pale ale this weekend. Any one else brewing? Re: Homebrewers - Whats in the fermeter? I haven't brewed in a year....I need to dust off the brew kettle. Nothing until after april 15. An IPA currently....just bottled an oatmeal stout about a week ago. Bottled a DIPA last weekend. Have a chocolate russian imperial stout that developed an infection 8 months ago sitting in the corner. I haven't been brave enough to taste it yet. I might end up being okay. I've been meaning to check it out but haven't had any bottles ready for the slight chance that it is actually good. 16 gal of Central Coast Syrah. Just freed up a 6 gal carboy so I'm going to start beer soon, looking for a good kit now. Once I get my outdoor station set-up for spring time brewing, I'll cook up a Bell's Two-Hearted Ale clone. Aging a DFH 90 Minute IPA clone that I'm not that happy with. It's settled down & clarified very nicely, but for some reason the profile is more like an old ale or Barleywine than an IPA. Too fruity. Great thing about homebrewing even when your not happy with it it is still beer. I'm pumped! 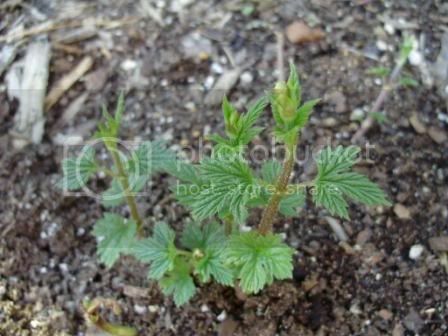 Last year I planted some hops rhizomes--a pair of Cascades & a pair of Nugget. They had decent growth, nothing spectacular, although I wasn't expecting much since it was their first year and they had to establish a root system. Was just walking around the "herb" garden and noticed substantial growth already from the Cascades mound--easily 4", and these things hadn't even broken the surface last weekend! You'll have to keep us updated.....at least make sure you post pics of any hop harvest you have this year. Just put 5 gallons of American pale ale in the fermenter. Watching it bubble! Dang....makes me want to get back into homebrewing! I'm excited. I found out late yesterday that I made it through the first round of the National Homebrewer's Competition. Took 1st place in category 19 (strong ale) for the northeast region with a score of 37 for my old oak ale (the same one I gave away on the contest board last month). I now go up against 29 others for the category finals. Congrats Bud! Are you bottling? If so I would love to try it! Congrats, Brian! 37 points is a nice score. I hope they still give out those cool first round awards--would make a nice framed addition to your brew house! Ive got a nut brown kit batch in the secondary right now. I managed to ruin my second batch so I figured I better keep it cheap till i get another batch I dont ruin. My first batch ever tho, was a pretty awesome IPA. Excited to keep going with this.